Having the skills and ability to swim is both fun AND important for safety! Many conventional swim lesson programs are not appropriate for individuals on the Autism Spectrum. 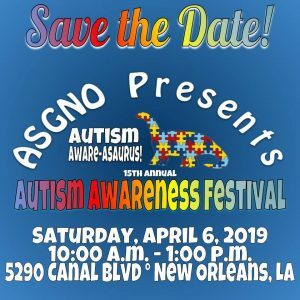 ASGNO has compiled a list of all of the adaptive swim lesson programs suitable for individuals on the Autism Spectrum in the GNO area. CLICK HERE to see the list! If you have any questions,comments,concerns, or a program to add to this list please email us at info@asgno.org!